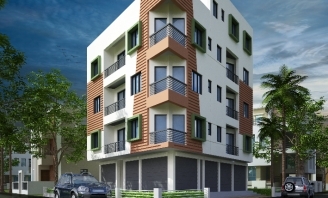 A G+IV Building It is a corner plot . Both sides are enriched with 10 ft Roads. 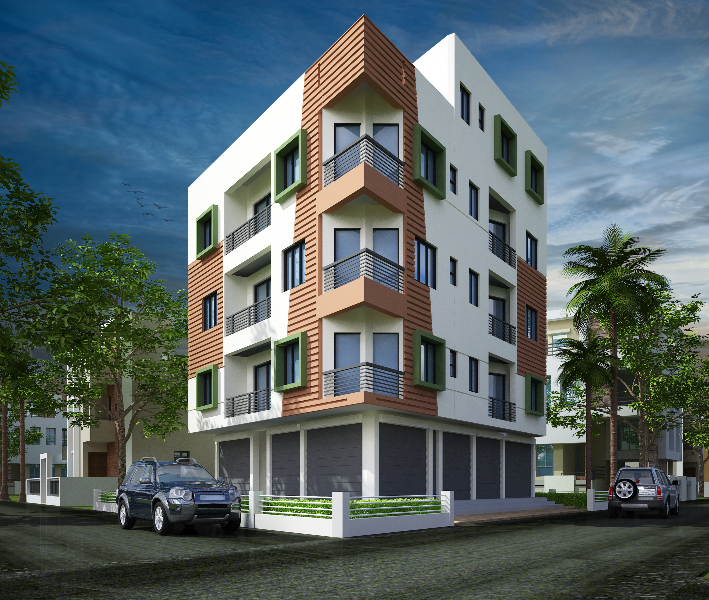 Total 9 flats are there in the building – 7 flats are 2BHK and 2 flats are 1BHK. Ground floor covered with 5 shops, cement to iron, sanitary to tiles, putty to colour. From switch board to electric wiring, maintaining quality. Flooring by tiles.